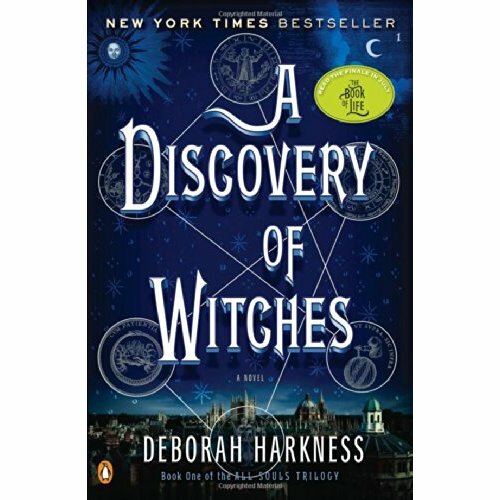 Deborah Harkness’s sparkling debut, A Discovery of Witches, has brought her into the spotlight and galvanized fans around the world. In this tale of passion and obsession, Diana Bishop, a young scholar and a descendant of witches, discovers a long-lost and enchanted alchemical manuscript, Ashmole 782, deep in Oxford&apos;s Bodleian Library. Its reappearance summons a fantastical underworld, which she navigates with her leading man, vampire geneticist Matthew Clairmont. Harkness has created a universe to rival those of Anne Rice, Diana Gabaldon, and Elizabeth Kostova, and she adds a scholar&apos;s depth to this riveting tale of magic and suspense. The story continues in book two, Shadow of Night, and concludes with The Book of Life, coming from Viking in July 2014.